I very rarely consume a wine that is made up of 100 percent Cabernet Franc. They aren’t the easiest wines to find. Imagine my excitement when I found this bottle from the Loire Valley! I had some super ripe raspberries as a snack today, and when I smelled this wine it took me back to that snack. 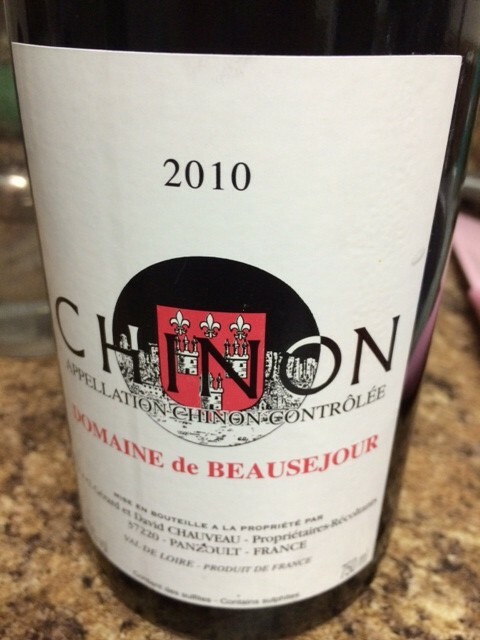 Juicy, ripe raspberry clearly dominates the palate, but there is a hint of white pepper as well. Not a heavy mouthfeel, but this is a cabernet franc so that is to be expected. This is not a tannin-heavy wine, but it has great backbone. The finish definitely has some spice and acidity. This wine would be excellent with some cheese, cured meat and freshly baked bread.